Is OOH Ready for a Female CEO? I was warned early last year, when we first started publishing OOH Today, not to go here. But the movement has grown significantly and notably the progress in Out of Home has not changed. After one year under our belt, we can weather the Establishment storm which this post may create. Warning or implied threat or not; It’s well past time to bring it forward in Outdoor. Forget the lip service, the committees, the random mailing list of 360 top women of OOH and the public service messages on digital screens. Will #OOH step up and aggressively promote a woman to the highest rank of the corporate hierarchy? If not now, when? Is #TimesUp an obstacle or an opportunity? Just as we had questions about starting OOH Today, its time to take the leap and just do it. We’ll have questions and there will be failures along the way. Time’s Up for Outdoor Advertising too. Its time for Out of Home Industry to get in front of this. Though no one from Out of Home is in the original declaration of the National supporting group which comprises TIME’S UP™/ADVERTISING (see the original signers in the link). It doesn’t mean it’s too late. TIME’S UP™/ADVERTISING comprises more than 180 senior female agency CEOs, CCOs, and CSOs, Click to see all 180 names⇒ View the Original Signers of the Letter This letter includes the names of the original supporters and the Industry Organizations. We list below. Are you still hand painting your bulletins or just your teams? OOH can run some PSA’s and fly the Time’s Up trade mark. We can join the group. We can donate dollars and space. But what about real change? We may be no different from any other industry with regard to female leaders, but we are certainly an industry of innovators, leading edge thinkers and embracers of change. Are we missing a real opportunity to create a legacy or historic moment in time? Are you still hand painting your bulletins or just your teams? Think about it this way, Someone took a chance on these women or did they out perform every guy to get where they are? Does this have to be a male/female conversation? Or can we start choosing the best candidate? How many women lead the Big 5 OOH buying services in the US? How many women lead the top Outdoor Advertising owners? How many general managers are female for the Big 3 OOH Owners? We can name one of the Big 3 who have zero female General Managers leading their markets. The percentage of women in the other 2? Very small. Is this a conscious or unconscious decision? Are we buying the false security of IBM when what need is an Apple, because the guy before us did? Is it plausible that adding woman will help us relate better to the original signers and CEO’s across the advertising and business board? Will this bring us a seat at a whole new table? Is it possible that just as we are leading with way with measurement, we could lead the way by empowering woman? Is it possible our changes might send echoes thorough the advertising community that the OOH Industry are innovators and early adopters we claim to be? We are saying, make the ‘next’ hire a female. OOH Today has had this conversation with leaders in the Outdoor Advertising Industry. All of them point proudly to Nancy Fletcher, OAAA CEO and Kym Frank, President of Geopath. Frank and Fletcher deserve all the credit which is given because they have earned it. Is there no faith they can run a for profit organization just as effectively? OOH Leaders, aren’t you saying by recognizing Nancy and Kym, that is all the more reason to have more females in the top management ranks of OOH leadership? Surely this successful, well-respected ‘duo’ should give us nothing but confidence in hiring and promoting women. We’ll grant the apologists stating that there are 3 mid-tier OOH agencies lead by very capable women, MacDonald Media’s CEO, Andrea MacDonald, EMC’s CEO, Betsy McLarney and Horizon Media’s SVP Director, Jill Nickerson. Strong, driven OOH experts. Still not the Big 5. Note, the Industry lost one of its top females last year with the departure of Annie Rickard, former Chairman of Posterscope UK. Rumors were she was pushed out. How’s Posterscope business since she left? We personally know the 4 women and worked with MacDonald and Nickerson closely through the years. They are as skilled and knowledgeable as any of the current CEO’s, both Owner and Agency leaders. The ‘8’ leaders can get rankled at us for saying so and frankly that says volumes if you do. We are not suggesting anyone be replaced or is incapable. We are saying, make the ‘next’ hire a female. As I was told in that same meeting early in 2018, “OOH is no different from any other industry. What is the point?” I was asked. The point is this, if we don’t speak openly and make changes, as an industry, we lose. Remember kicking the OOH tobacco habit? Wow what a change! And if you were there at the time you may have believed it was the end of the golden (revenue) age of OOH. In fact it opened a whole new world of opportunity. We brought on new advertisers for greater revenue and in some cases, less expense. We reviewed some of the revenue reports from that time period and the Industry had a few 8% yearly increases and we were not building digital faces exponentially increasing inventory and revenue on an 8 to 1 growth basis. Growth was organic and dare we say real. Moving woman to the very top of the ladder just may be the boost your/our bottom line needs. We will learn a new language, see old problems in a new way, just as other changes have brought similar results. We will learn a new language, see old problems in a new way, just as other changes have brought similar results. Times Up for OOH too. This is great timing for OOH to get behind this movement. Take the initiative to make change. 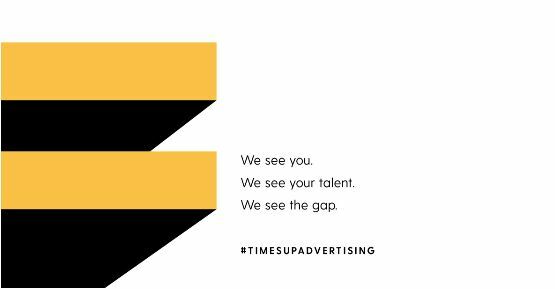 Scheduling #TimesUp creative in the unsold digital space is a start but some might say it’s a token response. Let’s see some real change. Revenues are down organically, same inventory to same inventory comparisons. Moral is weak in several OOH Providers shops. Instead of sending another email, send a new perspective, a woman’s perspective. Hell, start with a female GM! One of you guys needs to step up and place significantly more woman and in one OOH providers shop, even one woman, in the GM ranks. Others need to grow the ratio. The bench needs to be strengthened with women, for no other reason than that they are often the best person for the job when biases are put aside. Start with more female general managers. Who knows, maybe we’ll see a woman running one of the Big 5 Agencies or Big 3 OOH Companies in the not too distant future. I for one will be rooting for her to hit it out of the park! If your bottom line isn’t where you want it, this might just be the perfect time for change. #Time’s Up OOH, and that’s a good thing. Food for thought, ideas for change. The industry is more than ready for a woman CEO, in fact we are way overdue- There are many qualified women within our industry as well as outside of the industry- The candidates should not be selected based on gender alone, that is equally offensive- We are also lacking diversity. As a woman with 23 years of experience in the industry, and a successful business owner of a National Franchise. I would not be comfortable with the fact that the only reason, I would be considered is based on gender- a check in the box. I have worked hard and earned my seat at the big table. Women bring creativity, flexibility and think outside the box. We are lacking those key elements. Our industry is due for a major change to ensure it’s existence, growth and to break the glass ceiling of significant female and ethnically diverse leadership. The time is not up, the time is now. Four questions women need to ask for 2019, Why? Why Not? Why not me? Why not NOW? It’s interesting to note that like Nancy and Kym, the International Sign Association president is also a woman, Lori Anderson. I always wanted to hire women. Particularly years ago when there were fewer in the workplace. They just seemed to work harder, probably because they always had to do so to overcome the societal norms of the day. If a women’s as or more qualified giving her extra consideration in this day and age is warranted. There’s no disputing the facts that women are under-represented at the tops of not just OOH companies, but corporate America as a whole. Nancy Fletcher at the OAAA and Kym Frank at Geopath are notable exceptions. Strong female leadership should no longer be the exception; it should be the norm. At Adomni, we are committed to seeing old problems in a new way, and we hope the OOH industry is too. 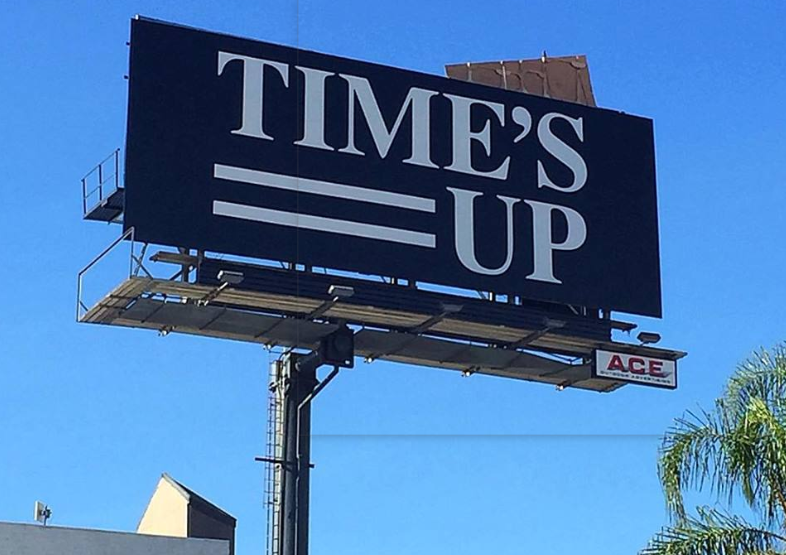 Time for #OOH to get with the #TimesUp, woman bring more than fresh ideas to the table. Nice job OOH Today. Why? Why Not? Why not me? Why not NOW? Ms Messimer Henley, your questions and comments bring the crux of the issue(s) forward with your assessments on fairness, earned opportunities and identifying and providing OOH Industry needs and solutions. Thank you for your comments. Freash Ideas! Thank you Ms Terlaga. We hope our questions and observations motivate those who have the power to bring immediate change and inspire others to become involved to expedite change. “committed to seeing old problems in a new way”. Jonathan Gudai thank you for your share. I want to say thank you from the bottom of my heart Brent/Bill for this post and the great comments from Jeff, Jonathan, Lynn and Nick- I have stayed in this industry because I love it. Mostly I love the people, men and women.. I never wanted to manage people, but I always wanted to run the company. HA! I always saw ways WE could get better and grow revenue, where other’s weren’t focusing, When I was promoted to South East Regional Manager for our Mall assets for CBS, I worked directly for the man who changed my career and perspective, Phil Stimpson, he told me that he wished he had 100 Andrea’s, that’s all it took for me, I grew the region by 50% in 2 years before the REIT.- When I see him I always thank him, he says this to me every time, don’t thank me you did the work, that is true, but he recognized my talent, not my gender. It takes that ONE person to build your confidence… As a woman we do get overlooked or put in a box, it’s true… And there is not a woman that wouldn’t disagree. It’s time to change- And the conversation should be open for a broader discussion……. I’ve been struggling at how to respond to this article – but I’m going to do my best as I feel it is an incredibly important topic (plus I was called out by name). As much as I’d like to write a dissertation, I’ll be brief – this is so much more complicated than “guys” stepping up and putting women in the ranks. “192 children were asked to select three teammates from other children they didn’t know for two new team games. Half of the children didn’t get any further instructions, while the other half were told the games required “really, really smart” teammates. Giving women leadership roles is great – please, please do that. But there are deeper issues at play here, that have nothing to do with OOH or even advertising. They started when we were children. I urge everyone to take a hard look at your behaviors; the way you talk about other people, who you have lunch with and who you exclude, whose opinions you seek out and whose you ignore. And not just the “guys” – we all have subconscious biases. Often women are harder on other women! Make sure you aren’t treating people differently simply because of their gender, their background, their ugly, lavender sweater. Thank you to the OOH industry for trusting in me to lead one of the industry organizations. I’m incredibly grateful. Beyond the work – which is rewarding and challenging and fun – I have met some of the most amazing, caring people and made life-long friends. Thank you Kym for the share and your thoughts- And I also had that sweater, in PINK. So no judgement here. As a Mother of a 15 year old, I have raised her to be kind, confident, stand up for herself, but also extend a hand when someone has fallen down.. She’s my WHY- My Mother passed when I was 5, and I never really got an opportunity to know her… My strength and tenacity comes from fear of not doing everything I know I am capable of in this lifetime, as my Mother’s life was taken too soon- You are unstoppable when you feel you have nothing to lose… Be kind, happy and helpful to the janitor all the way up to the CEO. It always pays off..
We would be happy to publish your list if you need the space Mr Coston. Thank you for your comments. Thank you Ms Henley. It begins with recognition as Phil Stimpson knows has acknowledged. Discussion is next which we at OOH Today is putting forth to the Industry. The net step which needs to happen, NOW, is action. The OOH Industry is fortunate to have you. Your short time in OOH has made tremendous impact. Often by virtue of being at the forefront of the issues and leadership. True legitimate leadership knows no gender, age or standing. Including even and especially Moms, are great leaders, whether household or Fortune 500 company. Its time for OOH!